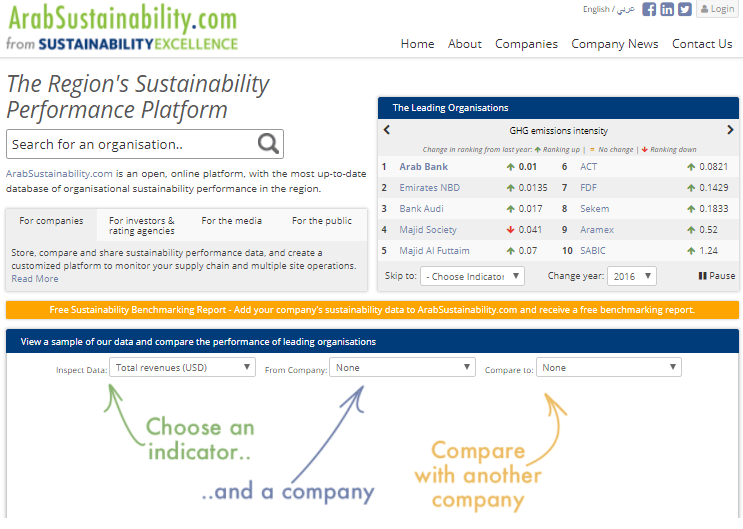 ArabSustainability.com is an open, online platform with the most up-to-date database of organisational sustainability performance in the region. The aim of the platform is to provide a real-time digital flow of sustainability data from companies, directly to data users such as investors, media, rating agencies, NGO’s, researchers, government entities and the public. It will liberate data currently stuck in PDF reports and provide a simple, easy-to-use platform for those not currently reporting to start reporting their sustainability performance.